LIBRARIES TRANSFORM JCPL is passionate about making a lasting impact on the community. Each year our staff designs creative programming, resources and experiences to share with you. We wanted to introduce you to some of the projects we are working on for this year. We're bringing more yoga programs to our libraries! With a focus on making our Preschool Yoga Storytimes even better, we've added stepping blocks, energy chimes, yoga games, hoberman spheres and more yoga mats. Littles can build their muscles and minds during Preschool Yoga Storytimes at our White River and Clark Pleasant Branches. We're excited to offer more yoga programs for teens and adults, too. Our library computers have been helpful for research, homework, resume-building and even entertainment. But, we haven't offered computers with creative project work in mind. Later this summer, you'll notice an Apple workstation in each of our libraries. Each iMac will be loaded with Adobe's Creative Cloud, including Photoshop, Lightroom, Illustrator, InDesign and more! You'll be able to tap your creative side to edit your photos or even create videos in Adobe Premier. Who says you have to choose between exercising your mind and your body? Enjoy quiet, low-impact exercise while working at one of our stationary bike desks located in the adult areas of our branches. Combine exercise with the tasks you do while at the library like reading, writing or working on your laptop! Desks will have device charging areas attached. We've told you all about the new items in our Library of Things collection. But, did you know adding a video game collection received the second highest number of votes during Explore Summer last year? We are excited to announce that starting in June, you will be able to check out popular PS4 and Xbox One games at JCPL! Our STEAM programming continues to grow and we are excited to explore new gadgets, robots and devices. Be on the lookout for more interactive STEAM programs this summer. Since 1911, the Johnson County Public Library has worked toward improving the quality of life for all citizens of Johnson County, Indiana. 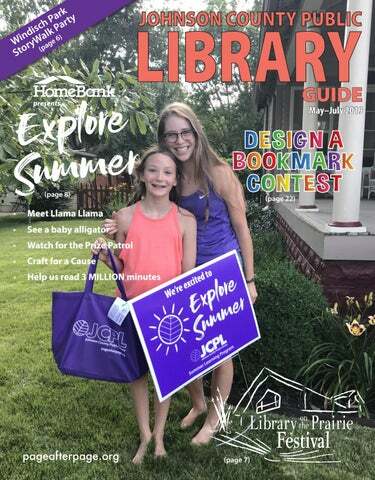 The Johnson County Public Library is strengthening our community by connecting people, resources and experiences. The library’s new mission provides the direction for our future and communicates our purpose. From book clubs and family fun days, to author visits and storytimes, your library has a full schedule of engaging programs year-round. Please contact our team with questions, comments or to tell us your story at marketing@jcplin.org or at 317-738-2957. Although it’s been wonderful venturing out a bit as the weather has warmed up, we’re more than ready to ditch the jacket and Explore Summer with you! We have some fantastic programs planned to help people of all ages to learn, create and discover at the library and in the community. Beginning in May, we’ll be inviting you to Explore Summer during our summer learning program. Last year, we set a modest reading goal that you totally blew out of the water. So, we’re setting our sights a bit higher this year. Our goal is to read 3 MILLION MINUTES as a community, across Johnson County. And, I know we can do it! Of course, we’ve got some exciting options for our Library Prize for you to vote on this summer - STEAM kits, musical instruments and stargazing kits. What is a Library? A library is a place to connect people, resources and experiences. It’s a place where ALL people are welcome. It’s a place to learn through reading, discovering and creating. A library is a community of empowered learners, enthusiastic readers and engaged citizens. Be sure to mark your calendar to join us for our second annual Library on the Prairie pioneer festival on Saturday, June 8. We’ll travel back in time to the mid-1800s to explore pioneer life on our very own prairie at our Trafalgar Branch! Learn more about what we have in store on page 7. There’s plenty to learn and explore at the library this summer. Cover Photo: Franklin Branch patrons, Rose and Isabell, were thrilled to be visited by the Explore Summer Prize Patrol last summer. 49 E. Monroe Street	Franklin, IN 46131 Administration; 317-738-9835; 317-738-9354 (F) Adult Learning Center; 317-738-4677 Marketing; 317-738-2957 Mon–Fri................ 8 a.m.–5 p.m. The JCPL card is free to residents of the library district and is valid at all JCPL locations. Institutions and businesses within the library district may apply for a JCPL card. Indiana residents with patron accounts in good standing at any library participating in the statewide reciprocal borrowing program may apply to receive reciprocal borrowing privileges at JCPL. Reciprocal borrowers may place holds and check out any on-shelf item. Digital content, such as e-books, are not available to reciprocal borrowers. Visit pageafterpage.org or contact your home library for more information. 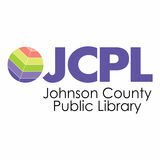 For full JCPL borrowing privileges, a Public Library Access Card (PLAC) is available for purchase. A PLAC makes it possible to borrow materials directly from libraries outside the borrower’s home library district. Ask at any JCPL service desk for information on this statewide card. JCPL patrons have access to our digital collections of e-books, e-audiobooks, magazines, comic books, music, movies and TV, 24 hours a day, seven days a week, using a home computer, laptop, smartphone or tablet device. For more info, visit pageafterpage.org/download. The Lucky 7 collection features popular new release books and DVDs. These titles can be checked out for 7 days and cannot be renewed or reserved. Look for Lucky 7 titles near the New Books section of your library Branch. Visit any reference desk and sign up to read down your fines. Every 15 minutes of reading in the library is worth $1 off your overdue fines and fees. Visit pageafterpage.org/ask-a-librarian or text 317-900-4LIB to chat live with a JCPL staff member. Receive help finding library materials, basic reference questions and instructions for using the library’s online resources. We are proud of the programs and events the library offers. Your photograph or video may be taken at the library and shared via social, local and other media. Please notify library staff if you or your child prefer not to be included in photos or video. Want to receive a text message when your holds are ready for pickup or when your materials are coming overdue? Sign up for text message notifications by visiting or calling the circulation desk at any JCPL Branch. Standard text messaging rates apply. The Community Rooms at all JCPL Branches are available for use by not-for-profit groups and business owners, as well as for special events. Non-commercial use of the room is at no charge. Business use and private social events have a nominal charge. The Study Rooms at the Trafalgar and White River Branches are also open for not-for-profit and business use. For more information, please visit the website or contact the appropriate branch. Computers, high speed internet, free Wi-Fi and wireless printing are available at all JCPL Branches. Visit pageafterpage.org/book-a-librarian or call your Branch to schedule up to an hour of personalized reference assistance, basic computer training or help with navigating library resources. The Adult Learning Center of the Johnson County Public Library provides small group or individualized one-on-one tutoring in Adult Basic Education and English as a second language. For more information about the ALC’s programs, to schedule tutoring or to volunteer, please call 317-738-4677. Llama llama red pajama whimpers softly for his mama. Llama llama red pajama hollers loudly for his mama. Craft homemade cat toys to be donated to cats in need. Clark Pleasant Branch	Fri	Jun. 7	1-3 p.m.
Make toys for the Johnson County Humane Society dogs. Pssst! Our partner organization just might visit with a four-legged friend to pick up their presents! Donations of clean t-shirts and empty water bottles are greatly appreciated. Franklin Branch	Mon	Jun. 10	1-3 p.m. Put your crafting skills to good work and join us to make shelters for feral cats. Donations of plastic bins with lids and Styrofoam coolers with lids would be greatly appreciated. Trafalgar Branch	Wed	Jun. 19	3-5 p.m. Create blankets for children in need during this volunteer program. Blankets will be donated to Project Linus. White River Branch	Wed	Jul. 10	10:30 a.m.-12:30 p.m.
Sew homemade pillowcases to donate to area shelters. Clark Pleasant Branch	Mon	Jul. 15	1-3 p.m. Learn how to weave plastic shopping bags into sleeping mats. By collecting plastic bags and crocheting them in to sleeping mats, we can give people experiencing homelessness a soft place to lay their head and help keep plastic bags out of oceans and landfills. Franklin Branch Mon	Jul. 22	1-3 p.m. Create bird feeders to feed the feathered friends in your backyard. Psst! Some adoptable animal friends might make an appearance! White River Branch	Sat	Jun. 29	10:30 a.m.-12:30 p.m. Donate your time to help people experiencing homelessness. Drop in to create bags of necessities to donate to Sheltering Wings. Trafalgar Branch	Tue	Jul. 2	4:30-6:30 p.m. Enjoy magic, laughter and fun with the whole family! Bring a towel to dry off and wear a bathing suit as you WILL get WET! Reading with Friends Meet new friends or spend time with old friends from some of our favorite childrenâ&#x20AC;&#x2122;s book series as they return with new adventures this summer. Meet Sarah Taylor, Programming Manager JCPL: What are some unique programs that JCPL offers that maybe other libraries don’t offer? ST: It’s important that every library works to serve their particular community, and since Johnson County is different from other communities, it makes sense that we offer programs that are unique to our county. One such program is the Authors at JCPL series which brings best-selling and award winning authors right here to Central Indiana. Another is Project Prom, a program where teens can “shop” for free formal wear for their prom. Library on the Prairie is a living history pioneer festival on the prairie at our Trafalgar Branch. We are constantly looking for ways to meet the needs of our community. Sarah Taylor is the Programming Manager at Johnson County Public Library. She oversees system-wide programs like the Authors at JCPL series and Explore Summer, our summer learning program. Sarah also works with our librarians to assist with program coordination for people of all ages at each of the branches. Read our interview with Sarah and learn about some of the exciting programs she plans throughout the year. Johnson County Public Library: You started out as a librarian, then a branch manager and now you’re the programming manager for the whole system. Could you tell us a little bit about how you transitioned from each role? Sarah Taylor: I’ve had the opportunity to do so many different things here and I learn new things every day! I actually started out as a part-time library assistant at the circulation desk at our White River Branch while I worked on my master’s degree. Then I worked for seven years as a Children’s Librarian/Children’s Services Manager at the Franklin Branch. This is where I found my calling - working with families in our community. When I was promoted to branch manager, I kept all my old duties and added in a few more so I had the opportunity work more closely with adults and other community organizations. In my role now, I serve the county as a whole, so I spend more time looking at the library’s big picture. JCPL: Why is programming at the library important? ST: One of my favorite parts about public libraries is that we are free and open to everyone in our community. The same goes for programming - programs provide learning opportunities free of charge, to anyone wanting to learn something new. From preschool storytimes and children’s coding programs, to programs on technology, sewing and gardening for adults, there’s something for everyone to learn at library programs. Programming brings us together for a shared purpose and that experience is an important part of what libraries do. Put on those red pajamas - Llama Llama is coming to the library! Celebrate your participation in the 1,000 Books Before Kindergarten program at these parties, with a special guest appearance from Llama Llama himself! Children who have completed their goal will be recognized for their accomplishment. All preschoolers welcome! Mon / May 6 / 6 p.m.
Clark Pleasant Branch Wed / May 8 / 2 p.m.
Thu / May 9 / 4:30 p.m. Sat / May 11 / 10:30 a.m.
Havenâ&#x20AC;&#x2122;t registered for 1,000 Books? Sign up and see what itâ&#x20AC;&#x2122;s all about. Sick of reading highbrow literature? Tired of intense, deep analytical discussion over books that make you feel as if you're back in high school English class? If so, we have the perfect book club for you! Join this book club where book lovers aren't shamed for reading hot best-sellers, bodice rippers, young adult novels or the newest thrillers. This book club is all about reading for fun and having a laid back, snack-filled discussion with like-minded bibliophiles. Please register. Think about the difference between a frozen dinner and a lovingly-prepared home cooked meal. Which would you rather have? Well, your plants are no different. Stop feeding them "Lean Cuisine" and give them what they want. They will reward you for your efforts. In this class, Teresa Gregory, will teach us several ways to start composting at little or no cost, including some surprising things you can toss in your compost and a few things to never add. Please register. “Firefly Lane” by Kristin Hannah Wed	May 1	6-7 p.m. “Notorious 92” by Andrew E. Stoner Wed	Jun. 5	6-7 p.m. “Legend” by Marie Lu Wed	Jul. 3	6-7 p.m.
4:30-5:30 p.m. 4:30-5:30 p.m. 4:30-5:30 p.m. Celebrate “Get Caught Reading Day” at the library! Stop in the library, check in with a staff member and enjoy reading. A "thank-you" prize will be provided. Children can improve their reading skills and enjoy time with a registered Alliance of Therapy Dogs canine friend. Sign up for a 15-minute session at the Reference Desk or call 317-535-6206. 11 a.m.-11:45 a.m. 11 a.m.-11:45 a.m. 11 a.m.-11:45 a.m.
Get to know local homeschool students while you learn at the library. Homeschool families are invited to participate in a librarian-led activity about music, science, history, books or just plain fun. Time to socialize will follow. Please register. Drop in anytime to build and play with the library's LEGOs®. There will be a challenge each month. Earth Cookie - Kea Deppe, Johnson County Recycling District Wed	May 22	2-3 p.m. Bird Bingo - Blair Beavers, Johnson County Soil & Water Conservation Wed	Jun. 26	2-3 p.m. Art Program – Laura Parkhurst, local artist Wed	Jul. 24	2-3 p.m.
3:30-4:30 p.m. 3:30-4:30 p.m. 3:30-4:30 p.m.
Work out your science, technology, engineering, art and math skills with challenges to get you tinkering, imagining, building and problem-solving. Please register. Use your breath and simple-but-effective visualizations to help you relax into the moment, release tension in your body and aid you in feeling less stressed. In this experiential class, you will learn and practice a few different tools you can add to your own relaxation toolbox-including breathwork, guided imagery, systematic physical relaxation, movement and essential oils. While this class will utilize some techniques often taught as part of meditation classes, this session will not have any attachment to religious or spiritual teachings or beliefs and is welcoming to all. Please register. 6:30-7:30 p.m. 6:30-7:30 p.m. 6:30-7:30 p.m. Create your own masterpiece! Create tot-friendly art projects together. Stick around after the craft for socialization and a short playtime. Please dress for a mess. Please register. Bring the family for some friendly competition while playing board games or the Nintendo NES Classic. Johnson Co Don’t Bug Me, I’m Reading ! 2-3 p.m. 2-3 p.m. 2-3 p.m. Enjoy books, songs, rhymes and more during this early literacy storytime each week. Bring your little one as we explore the concepts of science, technology, engineering, art and math through hands on experiments, crafts, games and more. Please register. Does your whole family need a breather? A tropical getaway? Get the next best thing at the library! All materials will be provided for everyone to unwind. Prepare to relax to the max! Please register. Newport Aquarium’s Wave Foundation visits JCPL with a very special guest, a real baby alligator! Learn what it means to be a reptile and have an in-depth conversation about Crocodilians: crocodiles, alligators, gharials and caimans. Each person attending MUST register for this program. The program will fill quickly! Registration opens July 1. Want to spice up your living room? Join quilter, Erin Davis, as she teaches the basics of quilting. You'll come away with your own handcrafted pillow! A limited number of sewing machines will be available for use for anyone who is unable to bring a portable sewing machine. Please register. Program will fill quickly! Using old Scrabble tiles, teens will get to create comic book charms to be used on keychains, magnets, bracelets, earrings or necklaces. Please register. Whether you’re the type of shopper who finds yourself lost at the grocery store unsure what to buy or you go in with a plan and buy plenty of groceries only to end up eating out every day anyway, meal planning is the cost-effective answer to the universal question - What is there to eat? Instructor Danielle Beers will share meal planning solutions for any size household. She is excited to share different plans that can work for any lifestyle and budget. Leave with a packet of resources and at least one meal plan to get you started. Please register. Newport Aquarium’s Wave Foundation visits JCPL with a very special guest, a real baby alligator! Learn what it means to be a reptile and have an in-depth conversation about Crocodilians: crocodiles, alligators, gharials and caimans. Registration for this program is capped at 100 participants per branch, at the request of the Aquarium. Each person attending must register. 9 a.m.-9 p.m. 9 a.m.-6 p.m. 9 a.m.-5 p.m. 1 p.m.-5 p.m.
6-6:30 p.m. 10-10:30 a.m. 6-6:30 p.m. 6-6:30 p.m. 10-10:30 a.m.
6-7 p.m. 6-7 p.m. 6-7 p.m.
May 8, 22	4:30-5:15 p.m. Jun. 5, 12, 19, 26	4:30-5:15 p.m. Jul. 3, 10, 17, 24, 31	4:30-5:15 p.m. Put on your dancing shoes and fanciest clothes then bring the whole family to dance the afternoon away at this fun family event. We'll have photo opportunities, refreshments, punch and of course, music! Please register. 4:30-5:15 p.m. 4-4:45 p.m. 4-4:45 p.m.
"Where’d You Go, Bernadette" by Maria Semple Mon	May 20	6:30-8 p.m. "Before We Were Yours” by Lisa Wingate Mon	Jun. 17	6:30-8 p.m.
10:15-11:15 a.m. 10:15-11:15 a.m. 10:15-11:15 a.m. 10:15-11:15 a.m. Enjoy books, songs, rhymes and more during this early literacy storytime each week. Visit our exploration stations before stories start at 10:45 a.m. Calling all artists in grades K-8! Design a bookmark with this year’s theme, “Explore Summer.” Entries accepted May 20-July 20. Winners will have their artwork made into bookmarks. Need a quick meal or snack? Learn some new recipes you can make in minutes in the microwave! Please register. BOOK clubs Read alone. Discuss together. “The Light Between Oceans” by M.L. Stedman Tue	May 21	6-7 p.m. “I Love You, Miss Huddleston” by Phil Gulley Tue	Jun. 18	6-7 p.m. “Animal Farm” by George Orwell Tue	Jul. 16	6-7 p.m.
Join us for our monthly book club as we discuss the month’s selection. Please register. Have fun and be creative, together! Enjoy stories, crafts, songs and more. Using pool noodles and foam, we will create awesome rocket flingers. Please register. Feeling adventurous? Join us for a fun and lively introduction to the world of Dungeons & Dragons. The game will be played over three-sessions. For beginners and intermediate players. Please register. Meet us in the “laboratory” and help conduct some wild science experiments. Don't worry, you won't really be blinded! Please register. Be on the lookout for this year's Prize Patrol! Celebrate the end of summer with a party on our prairie. We will have food, games and a special showing of Jurassic Park (1993). Fun and games start at 8 p.m. Movie starts at 8:45 p.m. Make sure to bring your chairs and blankets! Movie rated PG-13. Families Welcome Trafalgar Branch Fri / Jul. 26 / 8-11 p.m.
SCHOOL AGE EXTRA: WHATâ&#x20AC;&#x2122;S IN THE BOX? Make the world a better place one craft at a time! Donate your time to help people experiencing homelessness. Drop in to create bags of necessities to donate to Sheltering Wings. Create a unique wall hanging to commemorate the 50th anniversary of the moon landing. Please register. Join us for a Christmas celebration...in July! We'll escape the summer heat long enough to have treats, play games and get in the holiday spirit. Please register. Using clay, make pendants, rings, earrings or beads. Then put a drop of essential oil on them to scent your day. Please register. 10:30-11:30 a.m. 10:30-11:30 a.m. 10:30-11:30 a.m. Put on those red pajamas - Llama Llama is coming to the library! Celebrate your participation in the 1,000 Books Before Kindergarten program with a special guest appearance from Llama Llama himself! Children who have completed their 1,000 Books goal will be recognized for their accomplishment. Not registered for 1,000 Books? No problem! Sign up and see what it's all about. Please register. "Girl in Translation” by Jean Kwok Mon	May 20	7-8:30 p.m. "Beartown” by Frederick Backman Mon	Jun. 17	7-8:30 p.m. "Grandma Gatewood’s Walk” by Ben Montgomery Mon	Jul. 15	7-8:30 p.m. If you love talking with others about a book you’ve just read, you’ll want to join us for these book discussion groups. Copies of the titles will be available at the circulation desk a month before each meeting. 10:15-10:45 a.m. 10:15-10:45 a.m. 10:15-10:45 a.m. 10:15-10:45 a.m. Dress up and bring your favorite dinosaur to this very special dinosaur tea party. With stories, a craft, balloons and music, you’re sure to have a dino-riffic time! Please register. 9:30-10 a.m. 9:30-10 a.m. 9:30-10 a.m. 9:30-10 a.m.
10-11 a.m. 1:30-2:30 p.m. 10-11 a.m. 1:30-2:30 p.m.
Crafters are using 3D printers to make things like buttons, stamps, cookie cutters, jewelry, keychains and more. Learn to design and print your own creations. Wed. Create your own tile coaster. We'll use markers and rubbing alcohol to make a colorful masterpiece. Please register. Create a simple T-shirt transfer design using a Cricut machine to make it and take it home. Gently used hardback and paperback books, CDs, DVDs, audio and video tapes and books-on-tape/CD for every age in every genre, including large print titles. Proceeds provide extra resources and boosts support for library programming like author visits and reading program giveaways. Friends Nights: For members & joiners. Memberships available at the door. $5 Bag Day: Bags provided by the Friends.